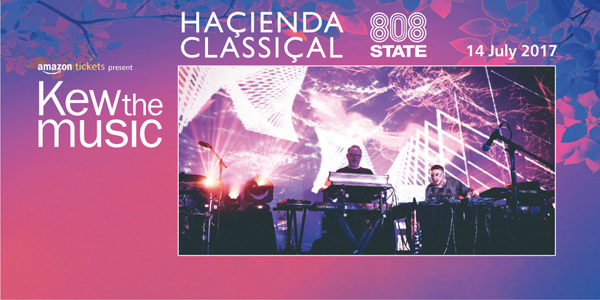 808 State are playing live at Kew Gardens, Richmond, Surrey on Friday 14 July 2017 as part of Hacienda Classical. Tickets. The day of the Don Solaris release. Hope some tracks get played live to promote it, and to celebrate how awesome it is. It was a family affair with lots of people with picnics and blankets - you could even bring in your own food and drink! 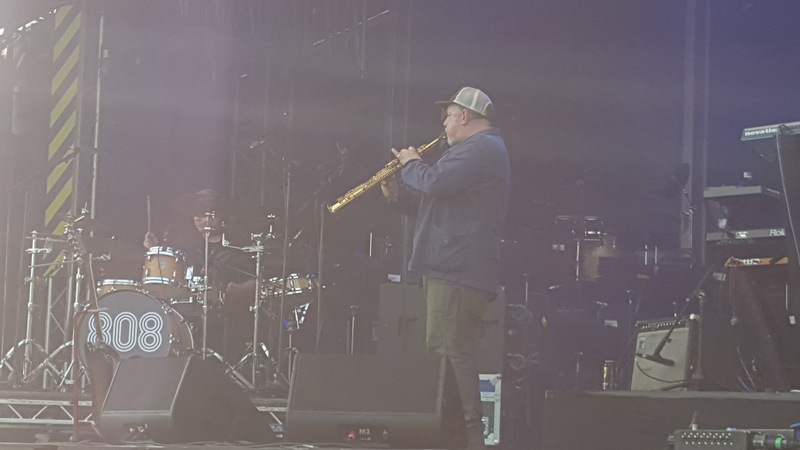 As it’s a Hacienda revival, I thought I’d do a gig review revival. Just like the old days. Queuing up was quite strange as the demographics of the crowd were not your usual, due in part to its regent location. They were a blend of all, from the classical music enthusiast to the mature music lover. 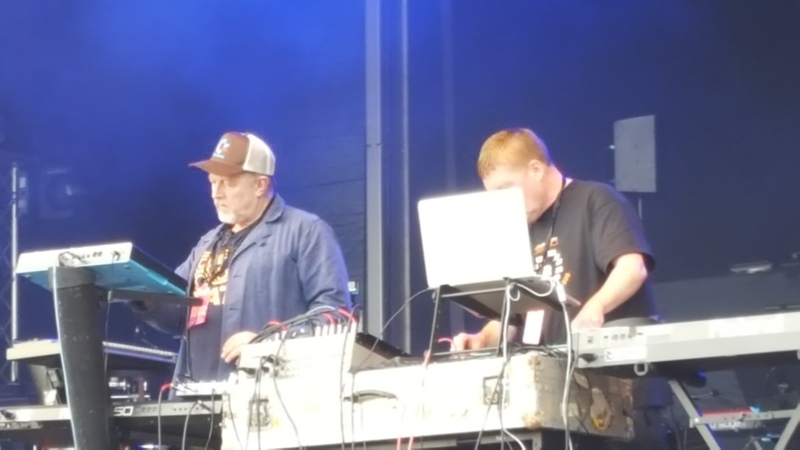 From families with youngsters to retired couples who've probably never heard of 808 State. This was going to be fun. 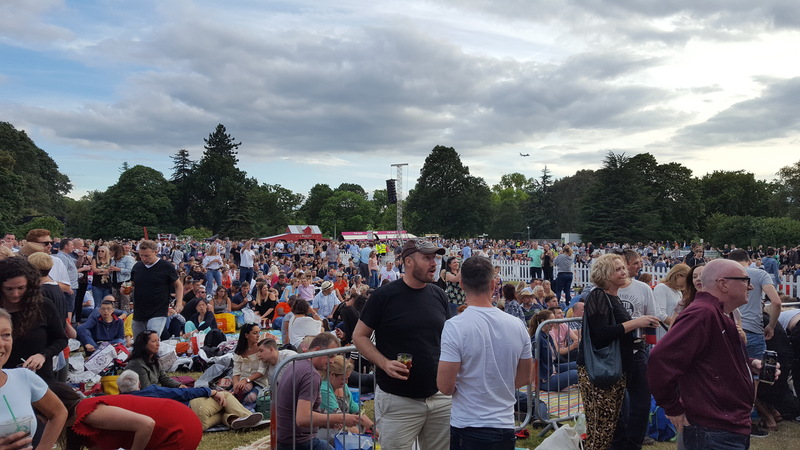 I got right near the front on entry and was surrounded by couples and families putting down blankets for all to sit on, picnic hampers at the ready, all settled for a night of partying. I was STOOD amongst them. Just me, my pint and my bottle of water. Nick then joined me and we were both stood, feeling out of place, targets for any flying food or corks. We decided to go to the bar area, trying not to step on peoples blanket territory on the way, winding our way through them like penguins in the Antarctic. Nick then decided to treat himself to a luxury tea of mint choc ice cream, with bitter to follow. On coming back to the stage, we realised you could enter the barrier into a ‘mosh pit’ area. Strictly no blankets, “Phew”. We were then right at the front, hardly anybody else in here, as the fools had blankets. 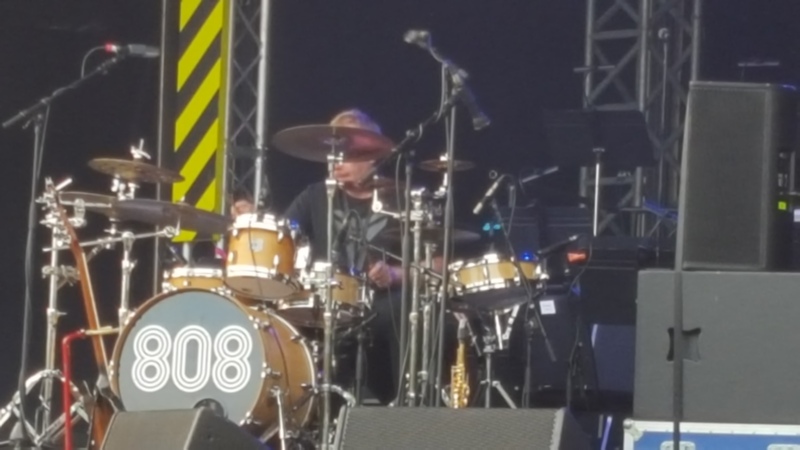 808 came on early, a rapturous reception and given such an introduction that had the crowd excited from the off. The crowd bounced as soon as ‘In Yer Face’ started and the mosh pit area started to fill, as blankets were left stranded with little Jonny minding them while their Hac era parents had some fun. Graham spotted me and Nick, and gave the thumbs up and seemed to suggest we should be dancing on the stage with him, either side, ala Albert Halls ‘Dancing Girls’. It was the NEW tracks I’d hoped to hear, and alas they appeared. ‘Spiral Arms’ was such a beauty, such an addictive hook, first listen and I loved it. Bird sounding samples seem to be where the success lies. An owl hooting melody on this occasion which screeched with varying pitch throughout. Carl on the drums really gave it additional impulse. Fantastic. ‘Marconi’ was acid for the new age. Very Newbuild in places. Graham relishing this track with new age dance moves. 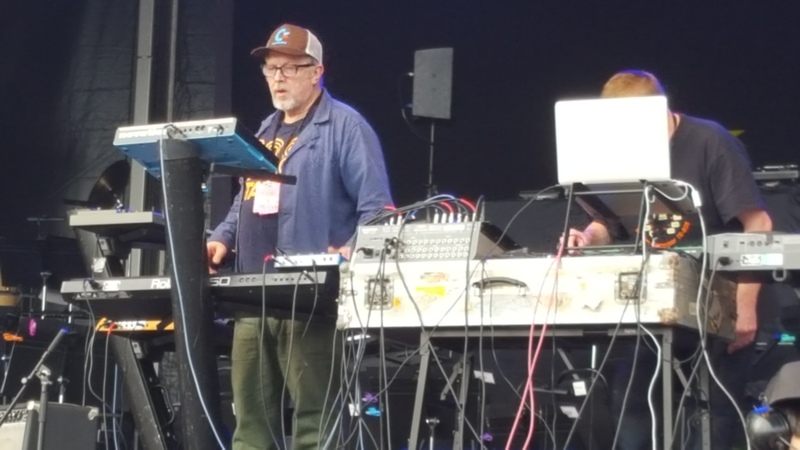 I’ve never seen people opening champagne at an 808 State concert before, until now. As the instantly recognisable ‘Pacific’ started I thought it was going to feel as though we were on a grand prix podium, champagne corks popping and fizz spraying. 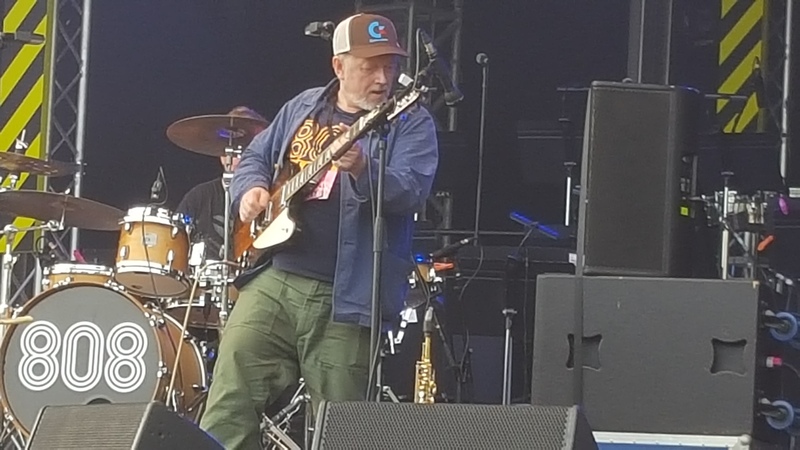 After the performance, upon coming back with a pint for me and Nick, it was a pleasure to see that Graham had taken the trouble to come into the crowd to chat to us. As we waited for the classical performance to start, Graham was obviously the centre of attention, with people coming up to shake his hand or regale in stories past. As the classical performance commenced, Graham remained. Surreal to have him alongside. I was hoping Pacific would have played while he was there which would have added to the surrealism, but he might have been mobbed. After a few tracks Graham realised he had to clear his stuff away and said his goodbyes. I do hope those new tracks see the light of day in some capacity. 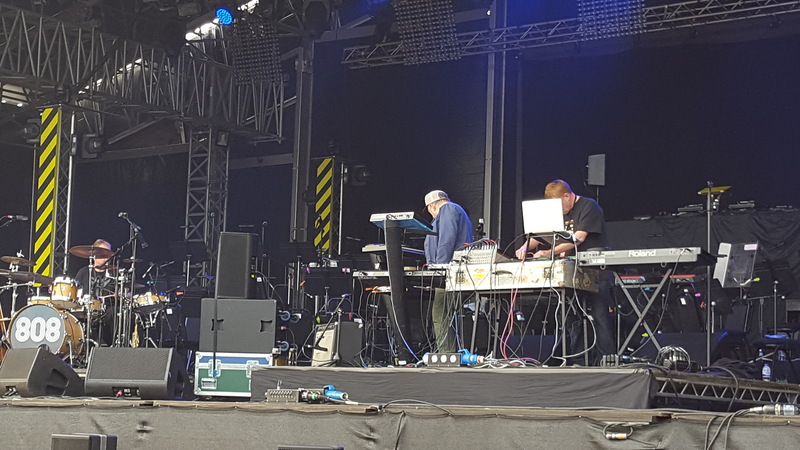 If the Hacienda Classical is an annual event and 808 remain as support, then there’s certainly an appetite for new material as their popularity increases. Another belting night. Music has no boundaries.